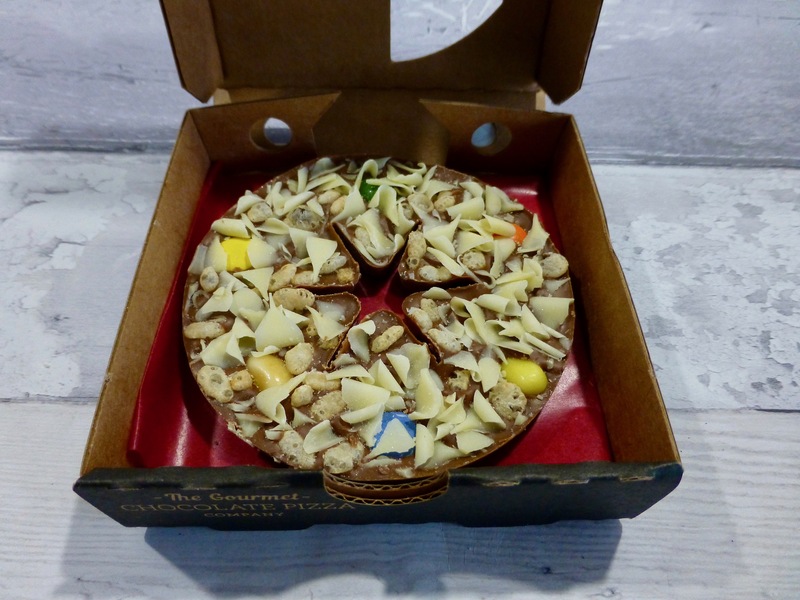 If you are going to receive a chocolate gift why not a chocolate pizza? Not the Chicago Town frozen kind, I am still not so sure about those, but an actual solid chocolate shaped pizza complete with pizza box. If this tickles your fancy then hurrah this is exactly what The Gourmet Chocolate Pizza Company are doing. 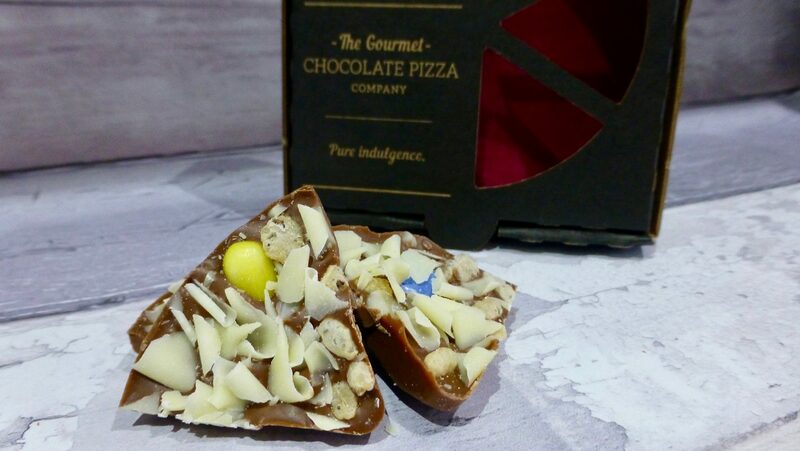 UK born in 2007, these gifts are created by a team of chocolatiers up in Nottingham and now stretch beyond just chocolate pizza. Today we are going back to basics with their Jelly Bean Jumble, which aptly I received as a present as well and was purchased from Chocol8, a cafe in Westbourne. For those looking to buy online there are a couple of online stockists, their own website, Not on the High Street and Amazon. If you want to go big you can go for a 7″, 10″, 12″ or for the smaller gifts, wedding favours, parties etc you can opt for just one slice or a mini version which is what I have here. I didn’t quite realise the amount of combinations they do, white, dark, milk, unicorn, even one with a slice of the all – best of all worlds one might say. Belgian milk chocolate base topped with rainbow drops, Jelly Belly jelly beans and rice puffs sprinkled with white chocolate curls. Looks can be deceiving because even one mini slice is pretty rich and packed to the brim. The milk chocolate is creamy and sweet, and as expected makes a solid base for the other ingredients. The rice puffs make for an interesting contrast in texture, and helps to break up the indulgent pizza. I do wish there were more jelly beans. Being called Jelly Bean Jumble I did expect more than one mini jelly bean per slice, I’m not say stash a load on there but a couple more would be very welcomed. 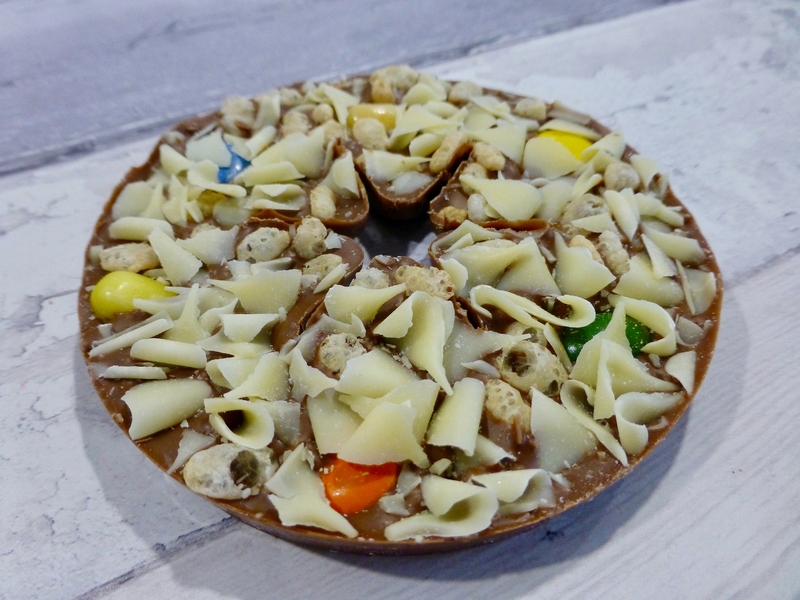 On the whole I am pretty happy with this mini Jelly Bean Jumble pizza from The Gourmet Chocolate Pizza Company and I really like the concept, and the detail they have put into these. Aside from the need of a few more jelly beans, the quality is there and I have happily munched my way through the rest. If you fancy trying their Chocolate Pizzas or see what they have on offer check out their website here.